Eitan Hoffer is a professional musician, playing the baroque violin and lute with “Barrocade” – Israel’s leading Early Music ensemble. 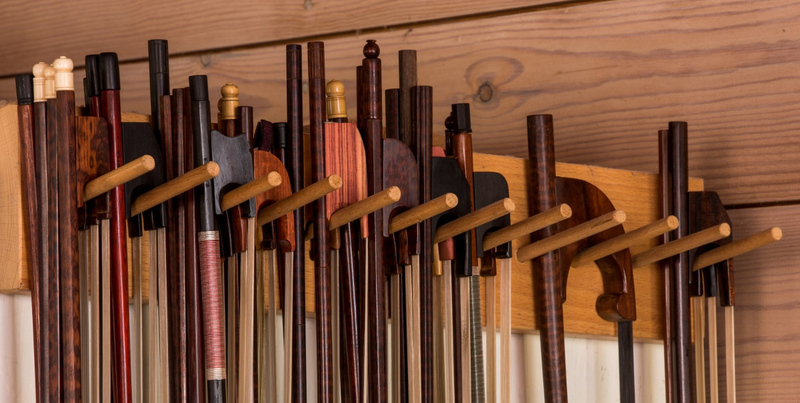 As a bow maker, Eitan has been studying and measuring original baroque and classical bows from the 17th and 18th centuries, and is combining his musical skills, sensitivity and his knowledge of old bows to create fine concert bows. Eitan enjoys increasing demand for his bows by the world’s leading players. His bows are being played by members of early music ensembles such as: Hesperion XXI, Concerto Copenhagen, Akademie für Alte Musik Berlin, English Baroque soloists, Gabrieli Consort and Players, Holland Baroque Society, Les Folies Francoises, Solamente Naturali, the Drottningholm Baroque Ensemble, Göteborg Baroque, and many more. Baroque and Classical bows at the workshop. Updates and photos from the workshop, interesting links for baroque string players and some video clips of musicians playing with my bows. You can “follow” or “like” the page get updates. Copyright © 2019 Eitan Hoffer – Bowmaker. Powered by WordPress. Theme: Spacious by ThemeGrill.